After spending 8 weeks in the west supervising the German offensive, a triumphant Hitler returns to Berlin and is cheered wildly by the population of Berlin. German aircraft and minesweepers sink 4 British submarines, Narwhal, Spearfish, Shark and Thames. The first German U-boat base in France is opened at Lorient. First German U-boat base opens in France, at Lorient; first U-boat (U-30) arrives. Army Group North continues its advance, reaching a line from Lake Peipus through Reval to Parun, North of the Gulf of Riga. Axis aircraft bomb Tobruk and Sidi Barrani. 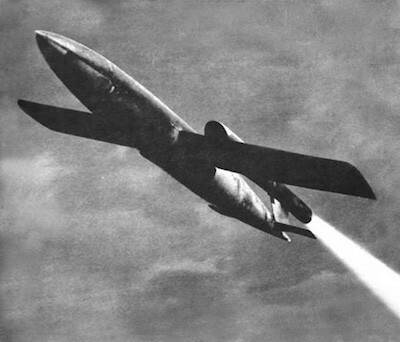 U-132 (Kptlt. Vogelsang) enters the Gulf of St. Lawrence on the Canadian East coast and sinks 3 merchant ships. Despite continuous attacks by the British Eighth Army, Panzer Army Afrika manages to hold on to its positions before El Alamein. The battle of Kursk continues with unabated ferocity, with the northern pincer of 9th Army is struggling to make any significant progress, the southern pincer of 4th Panzer Army advances some 12 miles. Churchill makes a statement about the ‘Doodlebugs’ and say that 2,754 have been launched, causing 2,752 dead and 8,000 injured so far. The Soviet 1st Belorussian Front recaptures Kovel to the southeast of Brest-Litovsk. The British Eighth Army captures Osimo 20 miles South of Ancona. Operation Overcast begins in Europe–moving Austrian and German scientists and their equipment to the United States. Norway declares war on Japan. More than 800 Norwegians are in Japanese POW camps. B-29 Superfortress bombers attack Honshu, Japan, using new fire-bombing techniques. Nicaragua becomes the first nation to ratify the United Nations Charter. US President Harry Truman establishes the Medal of Freedom, the highest honor for civilians.